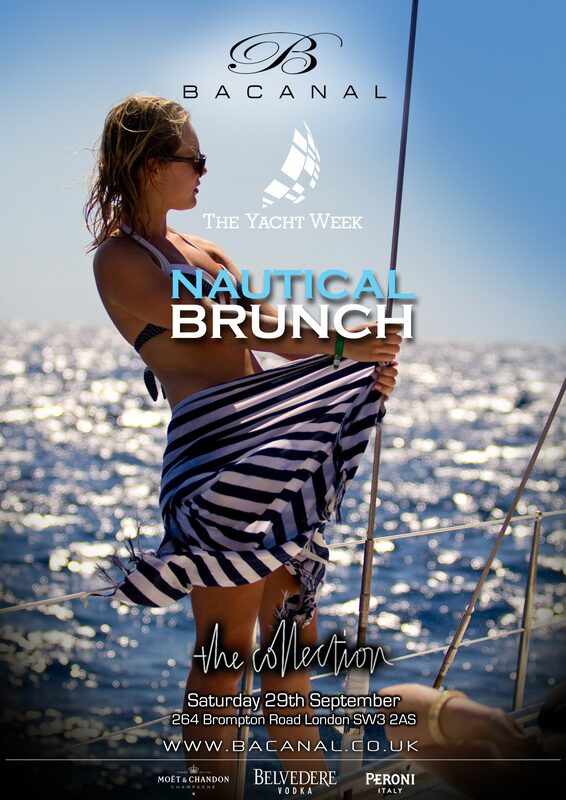 The Yacht Week welcomes the 2012 summer guests to take to the high seas one more time in a nautical themed brunch on the 29th September in association with Bacanal. Due to demand, we have had to relocate to a larger venue - The Collection, where the internationally acclaimed DJ Klaus and percussionist Ameet from ‘London Beats’ will keep us dancing for the rest of the afternoon! Brunch arrivals between 12:30-1:00pm. Guest list arrivals for post brunch festivities from 3:00pm onwards. Please note that submitting a brunch/drinks table reservation request does NOT guarantee your reservation. You will be contacted by a member of the Bacanal team to confirm your reservation before the event. Brunch is £35 per person and includes a 3 course meal and a welcome drink and grants free access to the after party from 3pm onwards. Table bookings are for a minimum of 4 people.